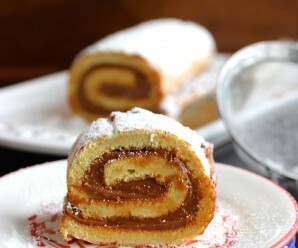 Cocadas are a traditional and popular dessert in Colombia. 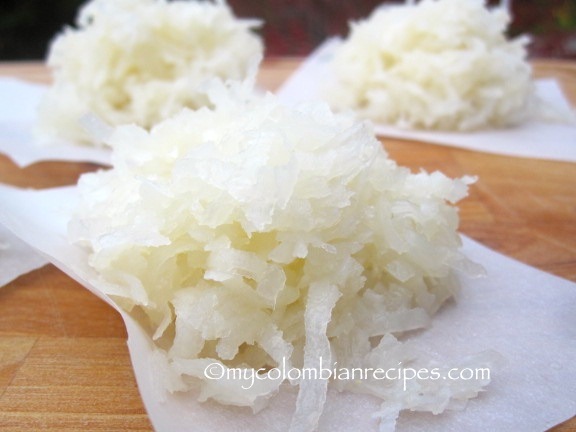 There are different variations of this wonderfully sweet treat, however, the main ingredient is always shredded coconut(coco), while other ingredients are dependent on region and family. Cocadas are usually sold on the streets and beaches around the country. 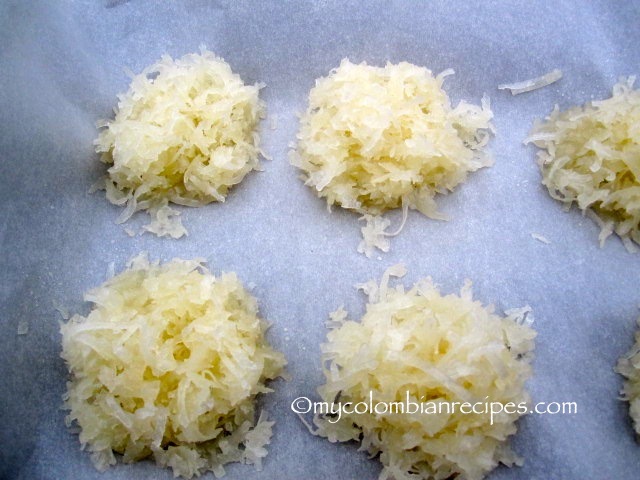 Cocadas are very easy to make and keep fresh up to two weeks in the fridge stored in cookie tins. 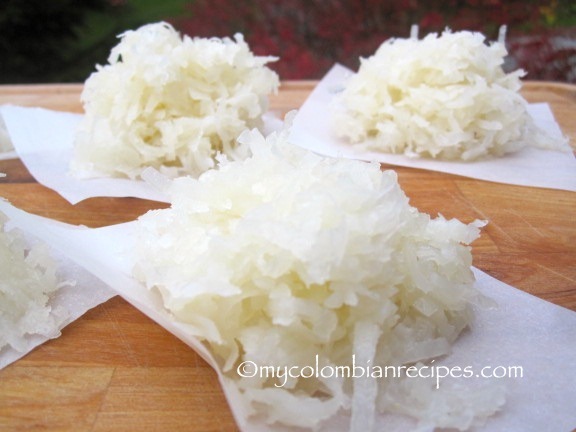 These Cocadas Blancas (White Cocadas) are a delicious, sticky, sweet treat from the coast of Colombia. Here are some of the variations that I’ve posted before on the site: Cocadas de Arequipe, Cocadas de Lechera and Chancacas. Let it simmer uncovered for about 30 minutes or until thickened. Stir often with a wooden spoon to prevent the coconut mixture from sticking to the bottom of the pot. sing 2 spoons, drop small amounts of the mixture onto the baking sheets lined with parchment paper, spacing them 2 inches apart. I love these sweets! Thanks for sharing how to make them! Do you think it would be possible to substitute coconut milk for the whole milk? Looking forward to trying this one! Dennis, I used coconut water and whole milk. I love all things coconut. These look amazingly addictive! Thank you, Joanne! They are delicious! Mmmmm – these look so good. I enjoy coconut so these candies would go fast in my house! 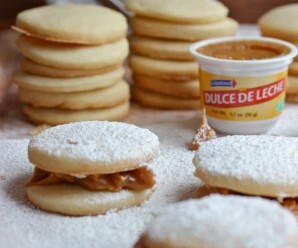 I made these Cocadas Blancas for a bake sale and we sold them very fast. Simple to make and really good. I placed mine in the fridge until ready to sell and they were perfect. Should the coconut be unsweetened? If I use Baker’s sweetened coconut, can I eliminate the sugar? Thank you so much for your wonderful recipes!! I am planning to make this one for the Colombian booth at International Day at the American School of Kuwait! If you use sweetened coconut, add less sugar. Hi, I made these for my son’s project on Colombia… are they supposed to harden or stick together? Mine have just stayed separate… I’ve never had them or made them so I’m not sure what the texture is supposed to be. They are soft, but they stick together. Can we use sweetened coconut or should it be unsweetened. I am assuming unsweetened because you mentioned using fresh coconut. I am looking for a shortcut! This is for a school festival. Thanks. Hi Dawn, You can find bags of grated unsweetened coconut at the supermarket. I Love your recipes and I love coconut. 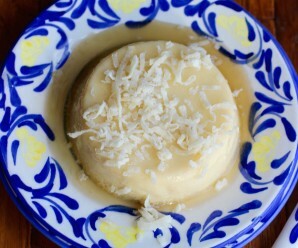 I would like to try to make your Coconut Cheesecake Cups, but I don’t like the flavor of sweetened condensed milk. What can I substitute with this ingredient? Hi Erica! Love your recipes! Brings me back to my childhood!! 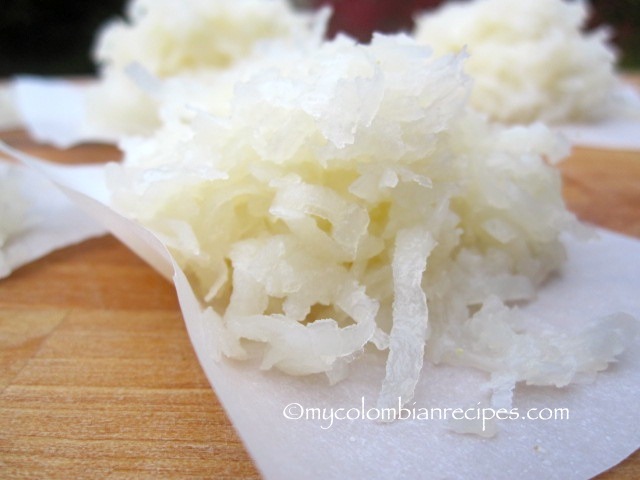 Quick question: do cocadas blancas y arepas freeze well? Wethe girls want to do this for our Colombian booth at world thinking day and we nwwd something we can makeep ahead of time. 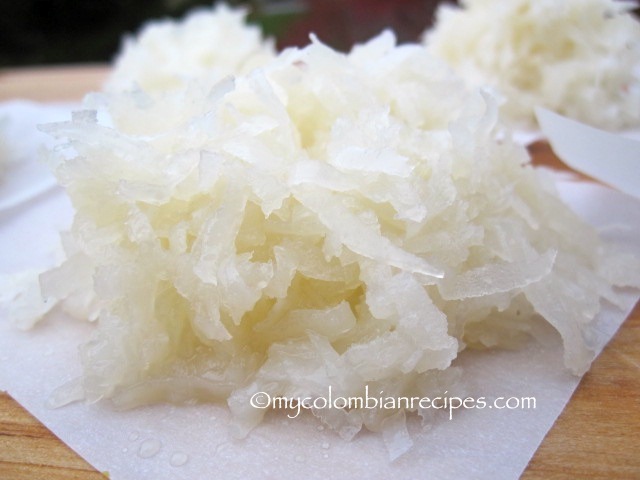 Would I be able to use dessicated coconut for the cocadas blancas? Hello, I’m wondering how firm they should be when cooled? Mine seem very soft. These are delicious! Mine fall apart though. I let the mixture thicken but there was still liquid in the pot. Could that be my problem? I will try again! Did you get it to work? I had the same thing happen even though it simmered for over 50 minutes. Am hopeful that it will set . . . I made these for my Spanish class. The professor is from Colombia. delicious but no matter how long I cooked the liquid mixture, it never ever stuck together, almost 1 hour! Any tips? I really wanted these to work.